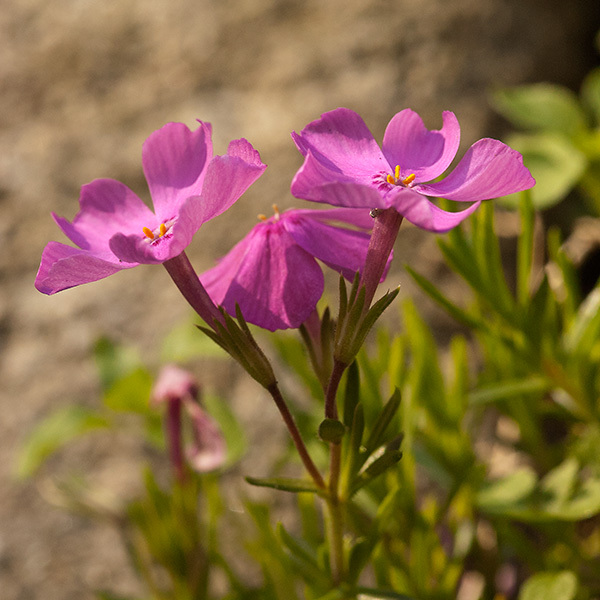 This family consists of fleshy, succulent herbs with regular, bisexual flowers often found in mountains and deserts. 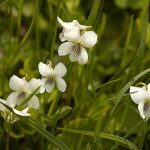 Generally, the flowers have five separate petals and five separate sepals. 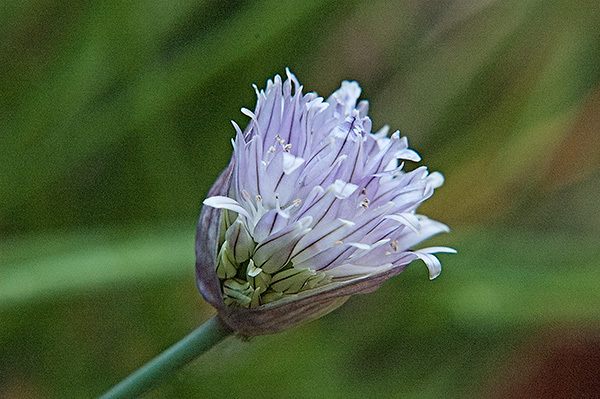 Many are cultivated as ornamentals. 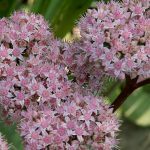 Members for this family include hens and chickens, jade plant, and sedum. 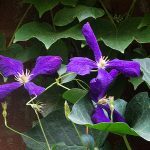 This family consists of trees, shrubs, woody climbers, and herbs. Flowers are arranged in racemes, with individual flowers on stems branching off a single stem. 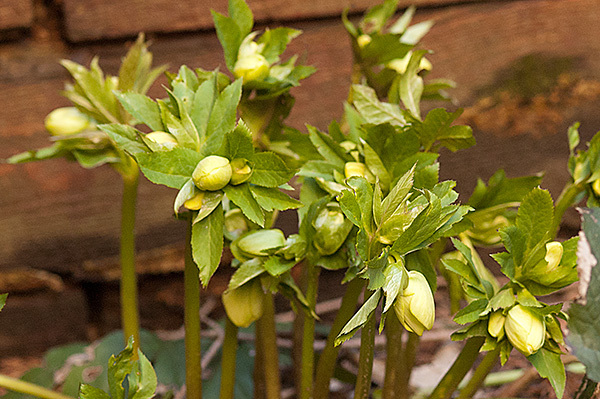 Flowers lack petals and possess several fused carpels, or female organs. 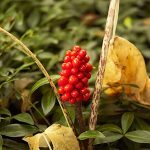 The fruit is usually a berry. 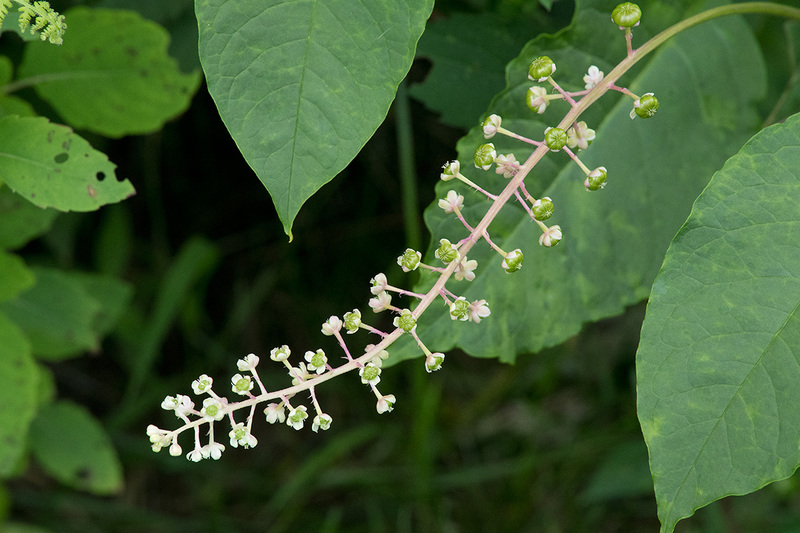 A common member of this family, and native to the northeast, is pokeweed. 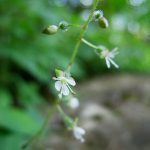 We all recognize grass, but grass flowers are another story. 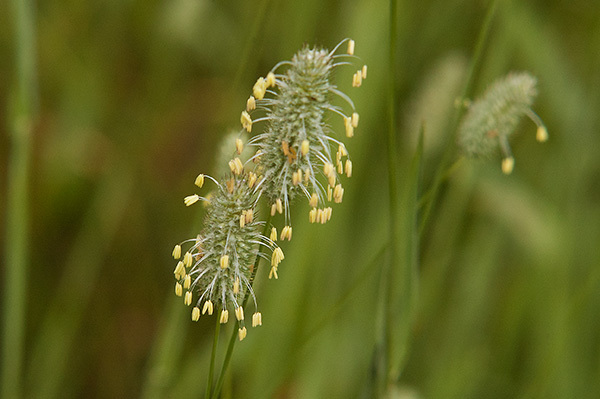 We don’t think of grasses as flowering, but they do. 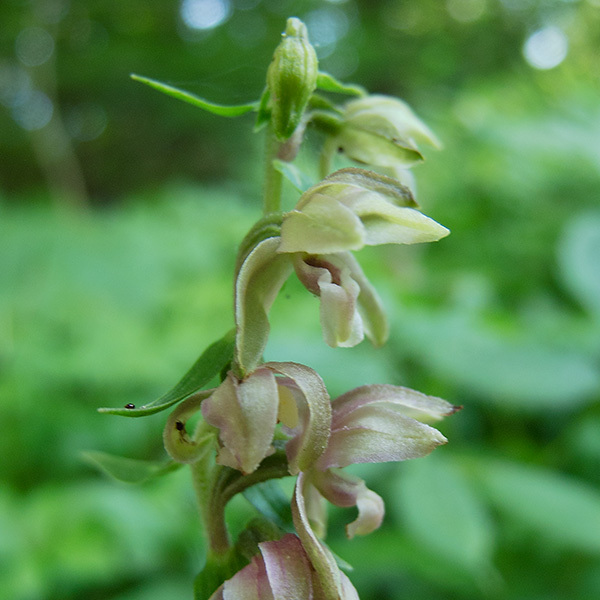 The difference is how they are pollinated – by wind instead of insects and birds. 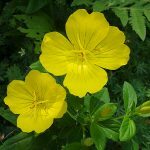 That means no fancy, enticing petals, nectar, or fragrances. 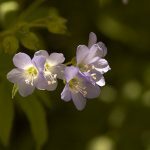 Just the business parts – stamens and pistils. 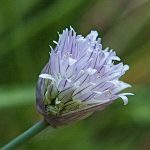 Stamens may emerge early morning and hold their pollen-containing anthers a distance from the flowering head to catch early breezes. 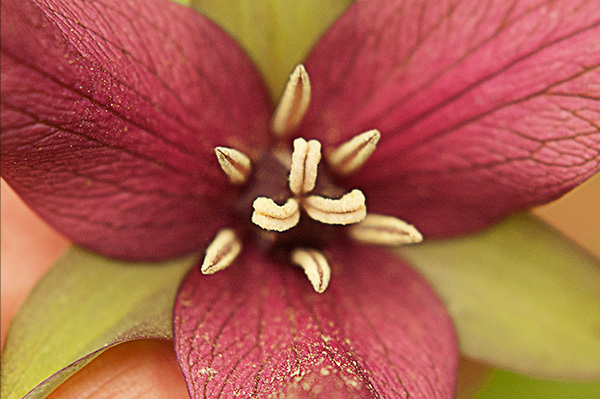 Pistils are often feathery to catch the pollen. 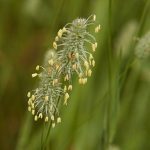 Grasses grow together since their pollen can only travel so far. 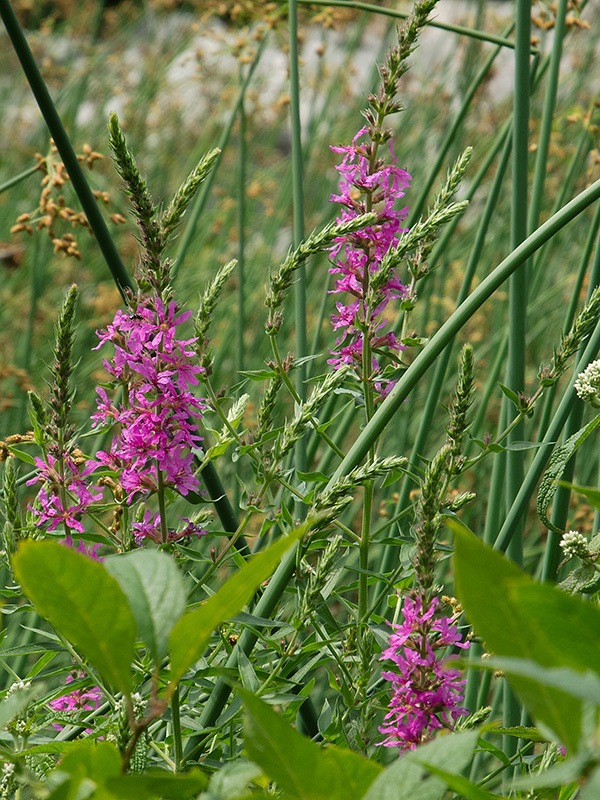 This is an important family providing forage for animals as well as crops, building materials, and fuel for humans. 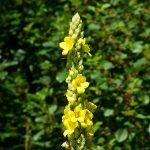 Important members include corn, rice, wheat, barley, millet, and timothy. 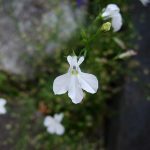 There are many cultivated varieties of this plant, including the ones growing in my window boxes. 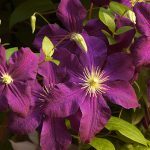 Plants are cultivated for their flower color (important to find the right color for your window box), extra rings of petals, and leaf color. 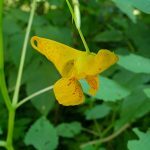 Distinguishing characteristics of this family include five separate petals, five separate sepals, and needle-like pistils. 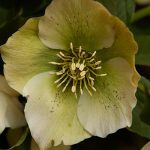 The pistils consist of fused styles and are tipped with a five-part stigma. 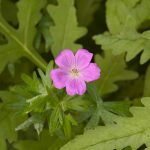 There are several native species in the Northeast including stork’s bill and wild geranium. 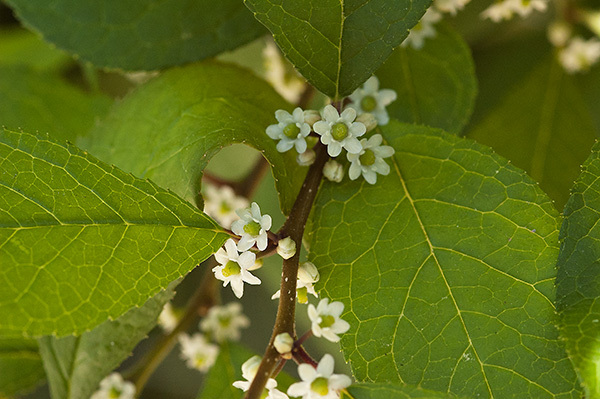 This family consists of trees, shrubs, and climbing vines. 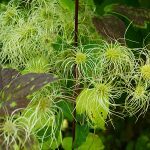 Most are tropical but a few species are in temperate zones such is the catalpa tree, trumpet creeper, and the cross vine. 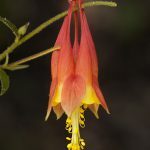 The family is characterized by showy, bell-shaped or funnel-shaped flowers with five sepals and five petals fused at the base, two long and two short stamens, and a pistil positioned on a disk above the attachment point of the other flower parts. 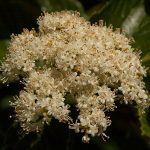 The holly family consists of woody shrubs and trees most of which are evergreen, the leaves staying green throughout the winter. 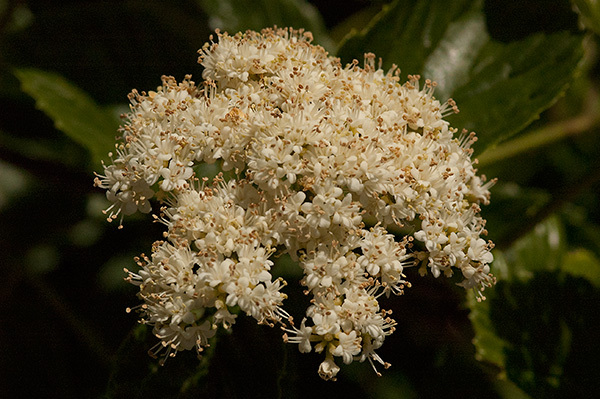 Flowers are inconspicuous, often small and cream-colored, with parts in 4 to 8. 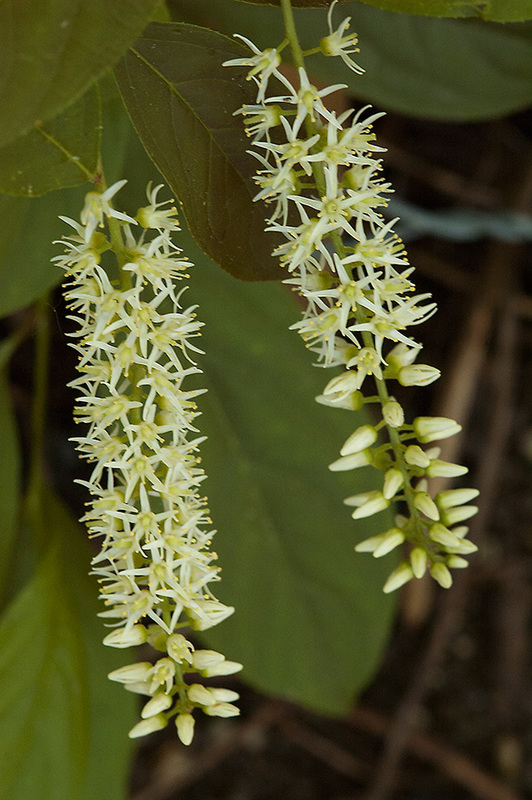 Male and female flowers are on separate plants, referred to as being dioecious. 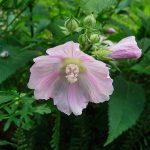 The ovary is above the point of attachment of the sepals and petals, referred to as the ovary being superior. 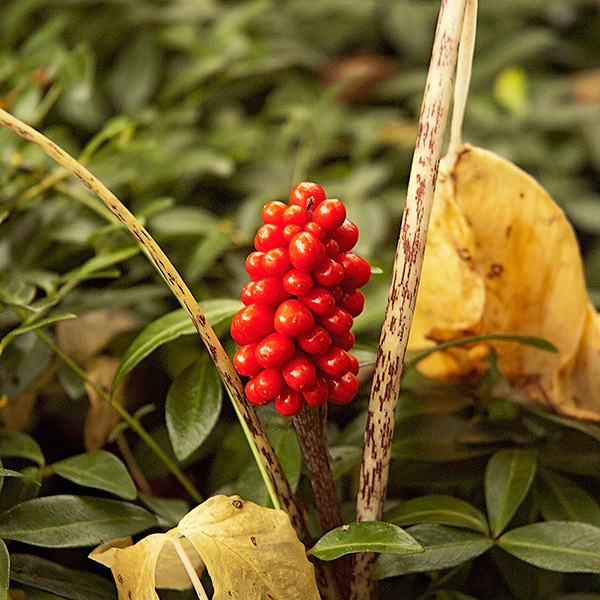 The family is known for it’s colorful berries, which are often red. 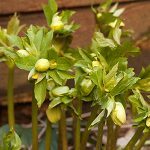 Although referred to as berries, they are actually drupes with a single pit in the center, as opposed to berries with multiple seeds inside. 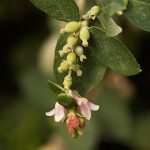 Members include English holly, American holly, and winterberry. 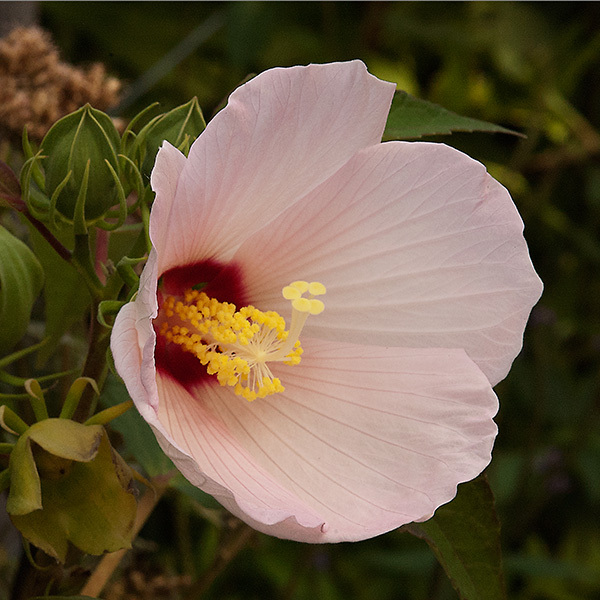 Most members of this family are subtropical and tropical, so what a surprise to find this one in Brooklyn Bridge Park! 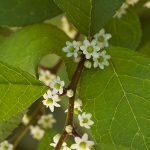 The family includes trees, shrubs, vines, and herbs with opposite leaves and generally 4 or 5 fused sepals and 4 or 5 fused petals. 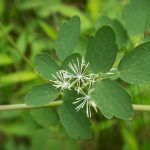 What is most distinguishing about the family is that many members contain powerful alkaloids, some of medicinal value. 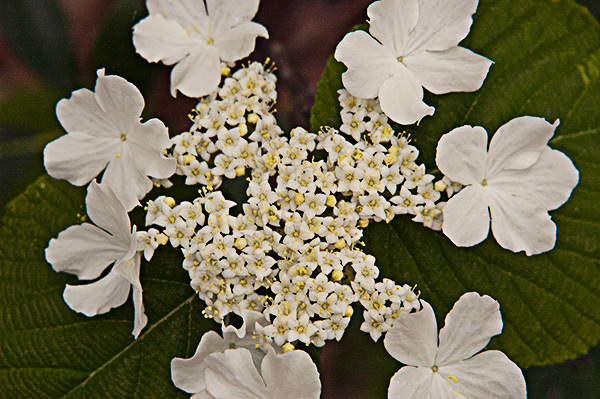 Flowers may unfold in a scorpion-like form. 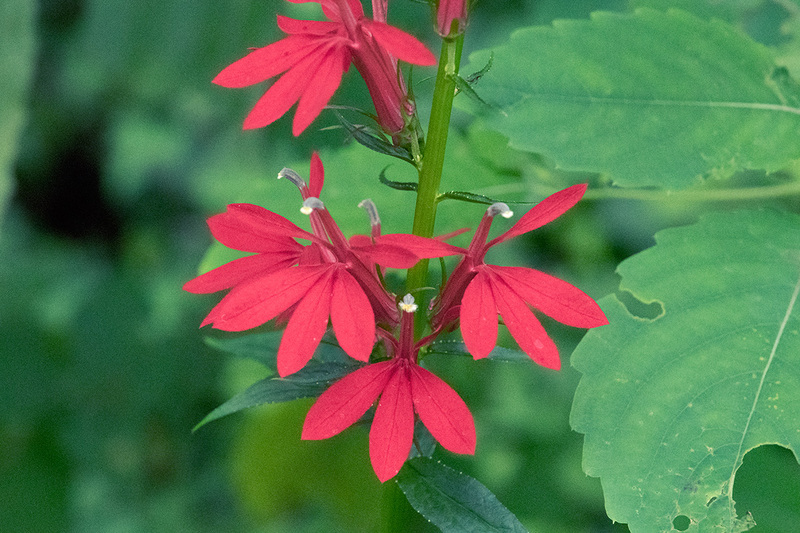 These family members are often found in the mountains because they do well in rocky areas and thin soils. 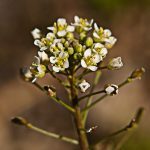 Most have rounded and lobed basal leaves and small flowers, about 1/4 of an inch, with multiple flowers along tall, unbranched flower stalks called racemes. 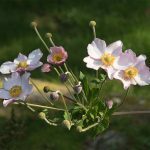 If you look closely, flowers typically have five sepals, five petals, and five or ten stamens. 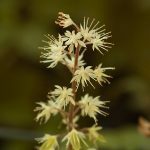 Members include false goat’s beard, alumroot, sweetspire, and miterwort. 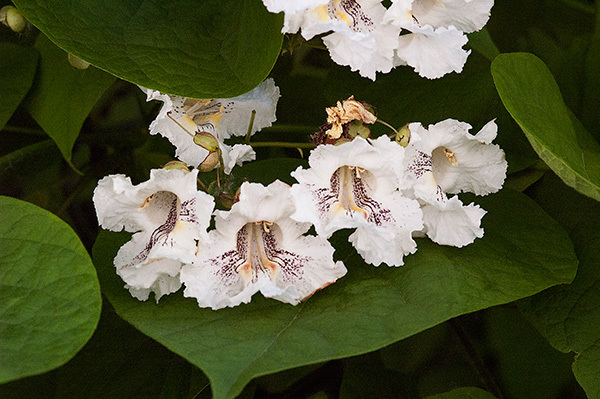 This is a large family of showy monocots with flower parts in threes. 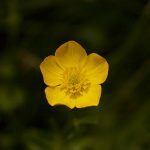 Petals and sepals are usually identical in size and color and look like six petals, often referred to as tepals. 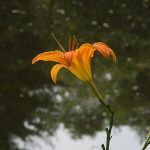 Taxonomists have grappled with this group, lumping them together, then breaking them apart resulting in several lily-like families and subfamilies. 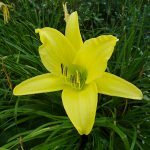 Other lily-like plants, that didn’t make the Lily family, include trillium, hostas, crocus, amaryllis, lily of the valley, day lily, and iris. 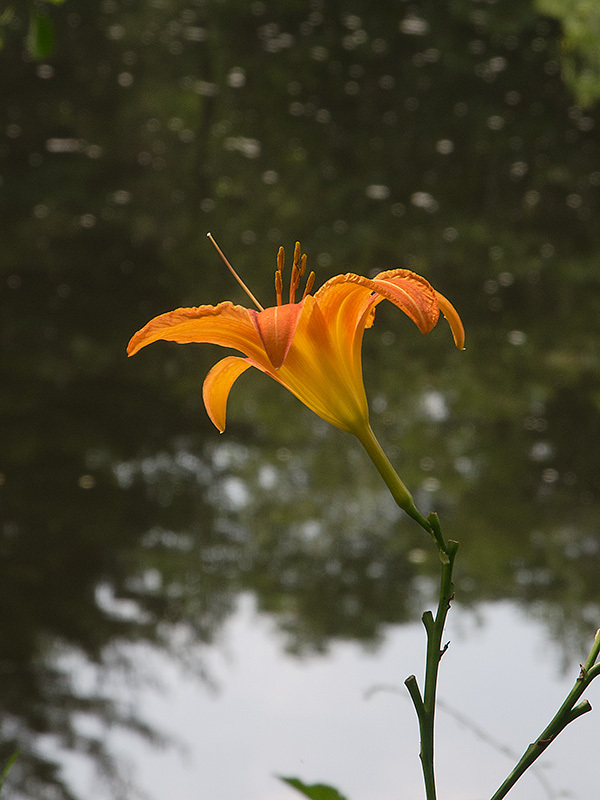 Members that did make it to the Lily family include Canada lily, twisted stalk, tulip, and bluebead lily. 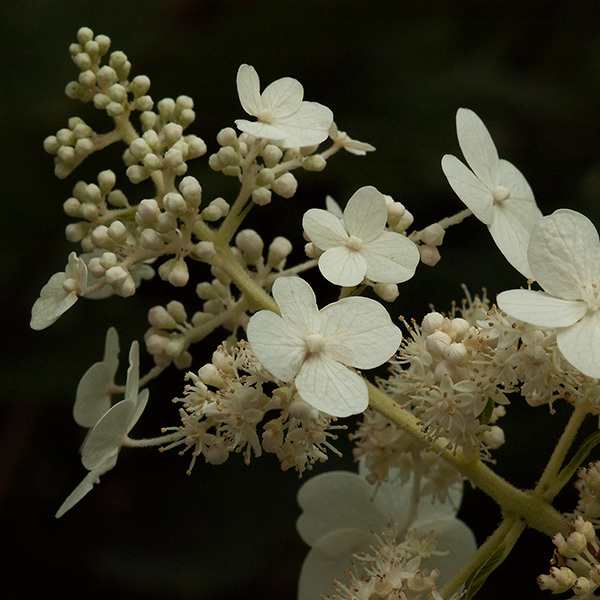 Members of this family produce single umbels, or umbrella-like flower structures. 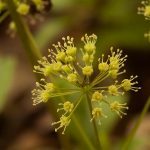 These flower structures differ from the parsley family, a close relative, which produces compound umbels rather than single umbels. 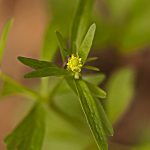 Flowers are small, greenish-white, and usually with five petals, sepals, and stamens. 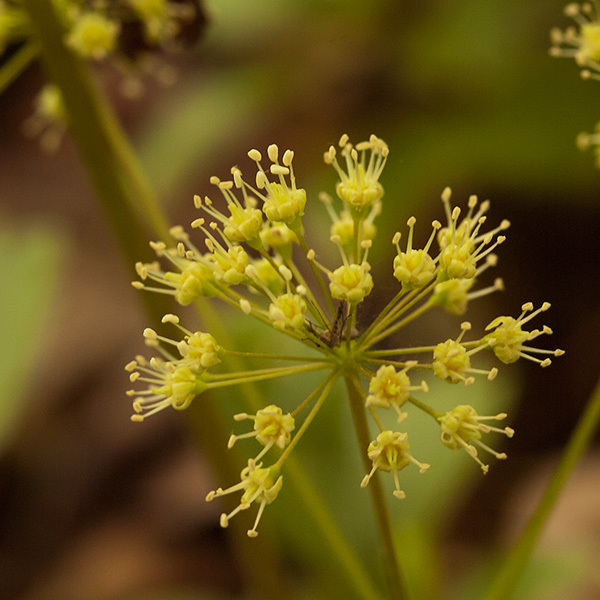 They form red or purple berries in distinctive umbel shapes. 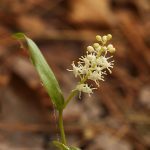 Members include English ivy, American ginseng, and wild sarsparilla. 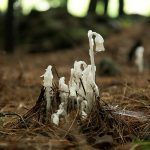 This is an ancient family. It used to include many members and many grew into giant trees. 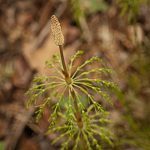 Coal deposits are made primarily of the remains of ancient horsetails. 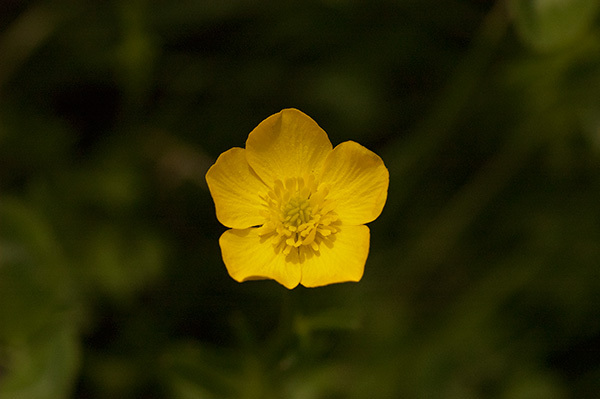 Today, there is only one genus and 23 species. 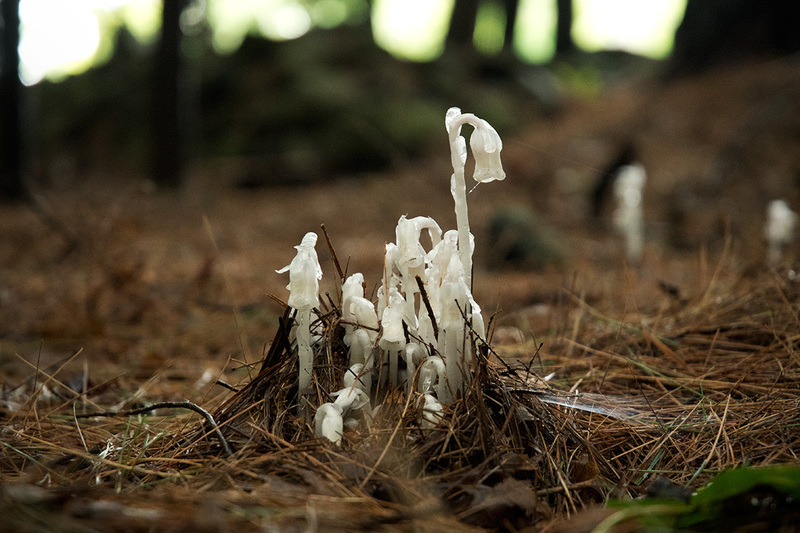 These are spore-producing plants, not flower-producing plants, with hollow, jointed, and abrasive stalks. 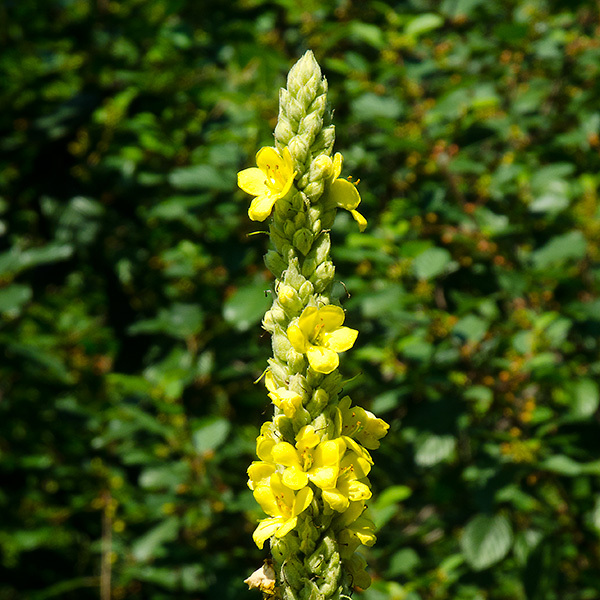 The abrasive, silica-containing stalks are used by musicians to smooth reeds for woodwind instruments. 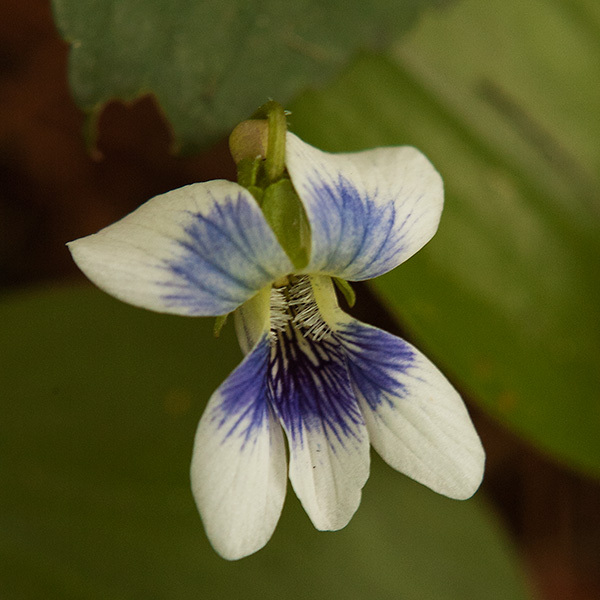 Violets have a distinctive, irregular flower with five sepals and five petals. 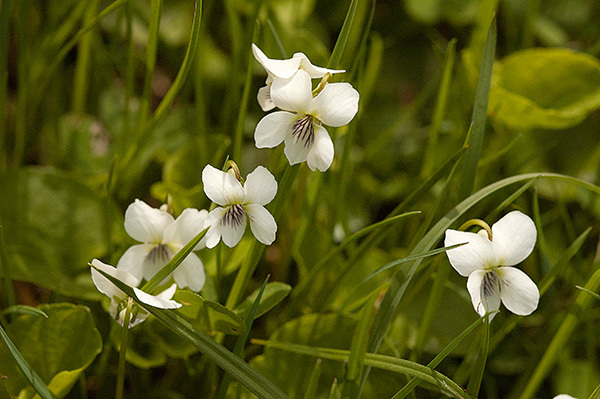 If you can recognize violets, pansies, and johnny-jump-ups, you know this family. 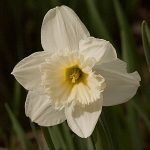 The autumn crocus family used to be part of the lily family but has since been promoted, like other former lily family members, to it’s own family. 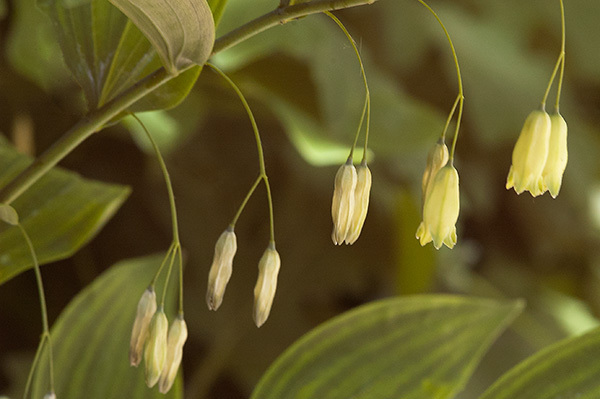 There is only one North American species, bellwort. 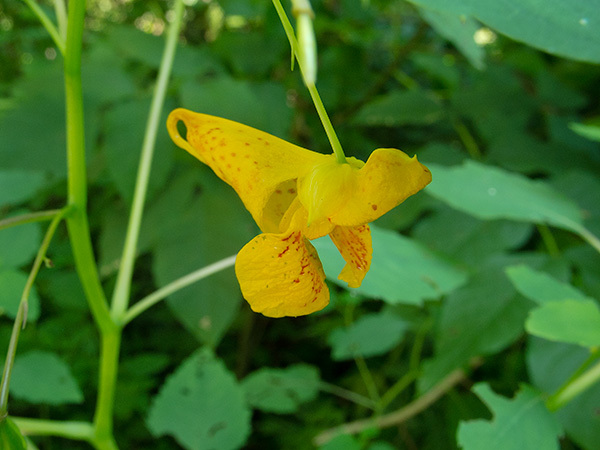 Bellwort is a monocot with lily-like characteristics – three sepals and three petals that are identical in size and color. 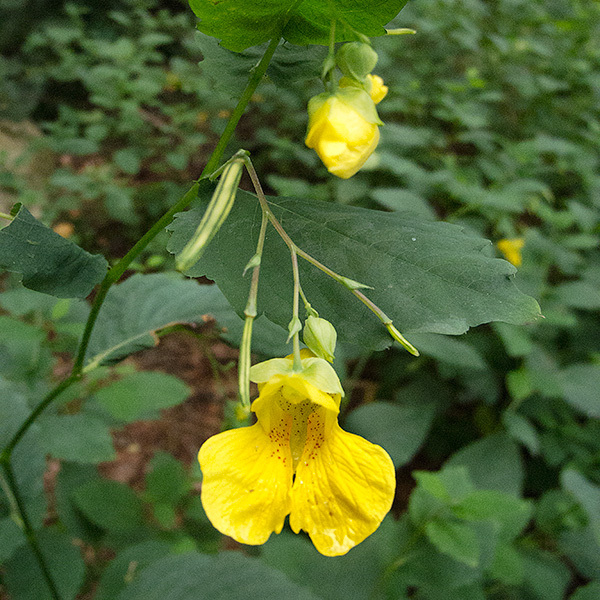 Found in in eastern woodlands, they bloom in early spring and produce drooping yellow blossoms. 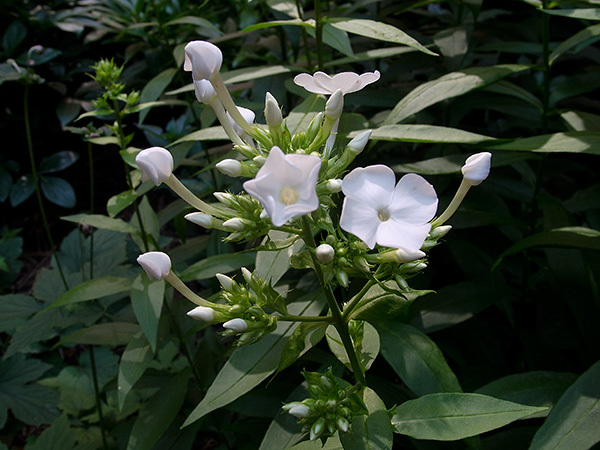 The bunchflower family is another group of lily-like plants that once belonged to the lily family. 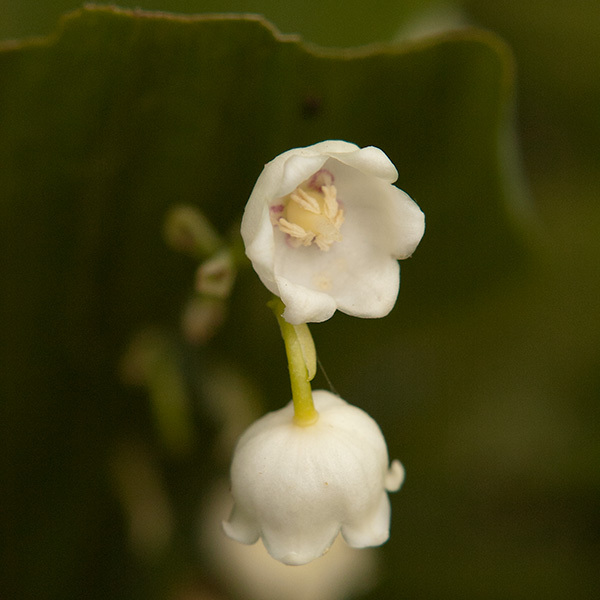 Subfamilies of the lily family have been promoted to their own family groups. 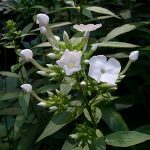 Like all lilies, members of the bunchflower family are monocots, characterized by flower parts in threes with parallel veins in the leaves. 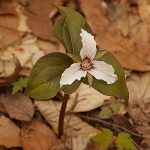 Most family members have bunches of little white or greenish flowers – but not trillium, common in the northeast which usually has large, single flowers. 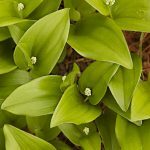 Apparently, there is enough genetic evidence to keep the group together and separate from other lily-like plants. Members include trillium, false hellebore, death camas (yes, poisonous), and turkeybeard. A delicious and important family! 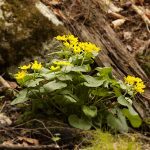 Many foods we eat belong to the Brassicaceae family: cabbbage, cauliflower, broccoli, bok choy, brussel sprouts, kohlrabe, collards, turnip, arugula, watercress, radish, horseradish, and – of course – mustard! 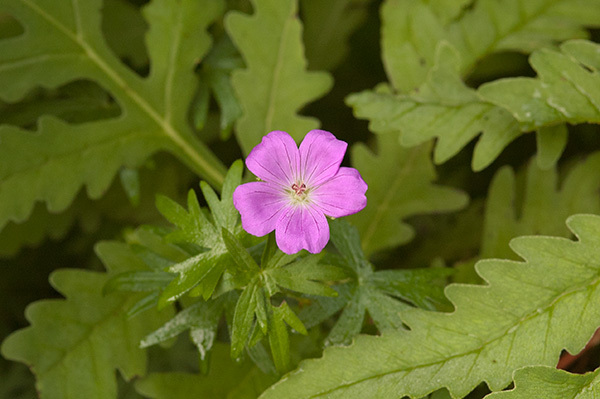 Easily identified by clusters of small flowers with four separate petals and six stamens. Two stamens will be short and four, longer. 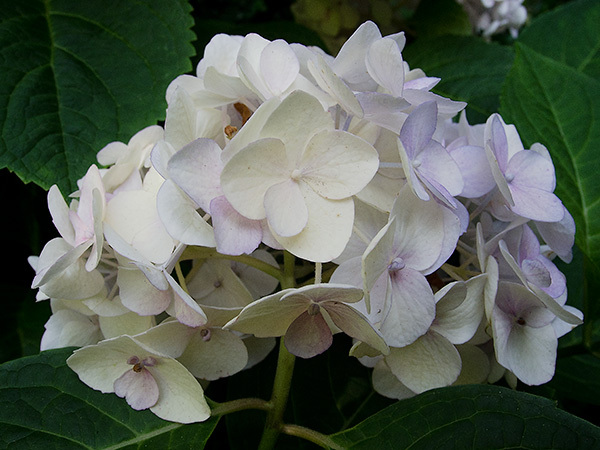 Flowers are usually white or yellow. 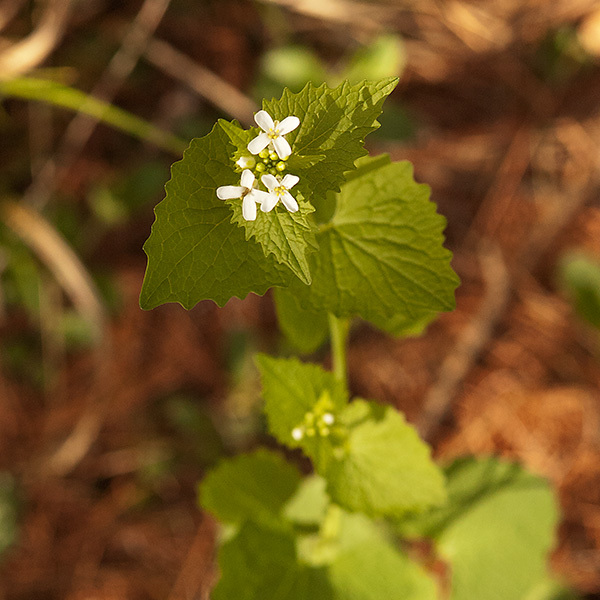 There are many weeds in this family, too, including the invasive garlic mustard that can be toxic to some butterflies. 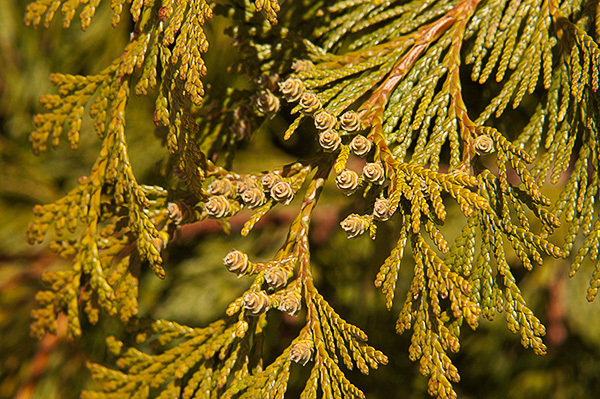 Members of the cypress family are evergreen trees or shrubs. 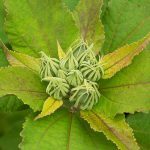 Many species are aromatic and have scale-like leaves rather than needles. Leaves are tiny and wedge-shaped, overlap each other, and cover the branches. 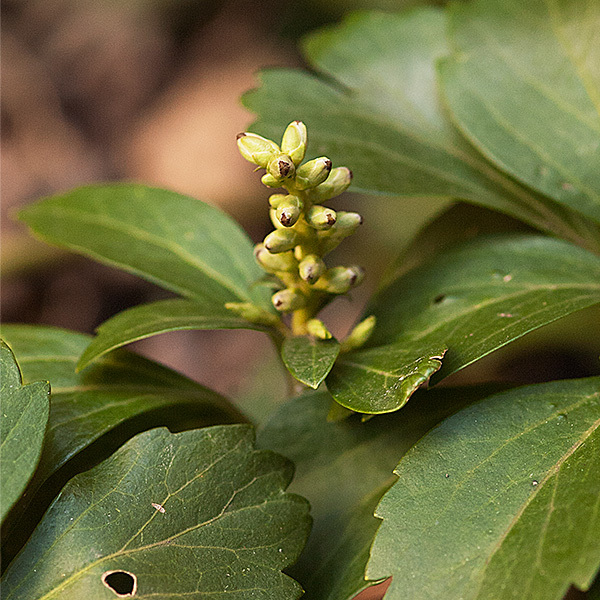 They bear pollen-producing cones (male) and seed-producing cones (female) which may or may not be on the same plant. 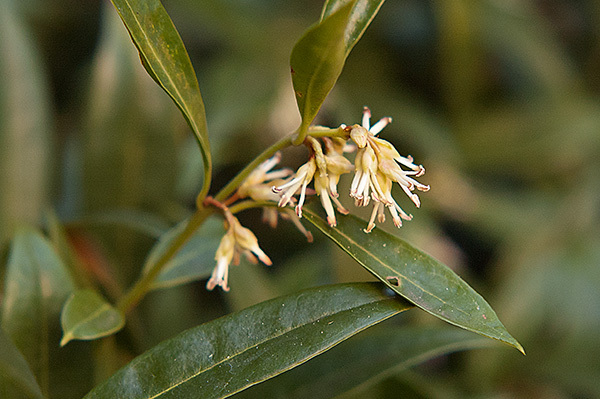 Members of this family in the northeast include white cedar and juniper. 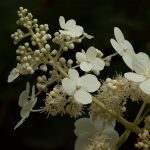 Members of this family consist of shrubs and trees. 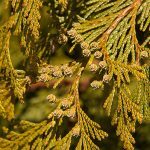 Here in the northeast, they are deciduous but in other places they may be evergreen. Flowers are small and appear to have six petals but are actually tepals, consisting of three sepals and three petals that are indistinguishable from each other. 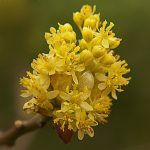 Members in the northeast include spicebush and sassafras. 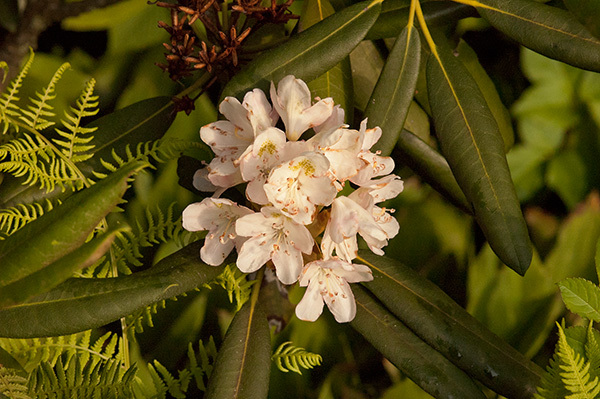 Other members that don’t grow in the northeast include avocados, cinnamon, camphor, and bay laurel. 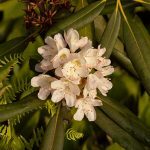 But watch out, our native mountain laurel does not belong to the laurel family but rather to the heather family, Ericaceae. 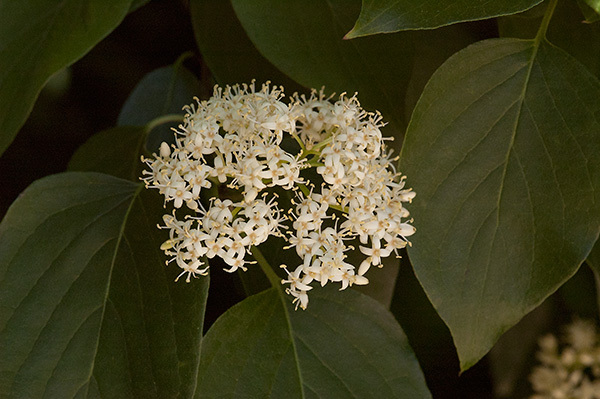 Members of this family in the northeast are woody shrubs with clusters of flowers in branching inflorescences called cymes. 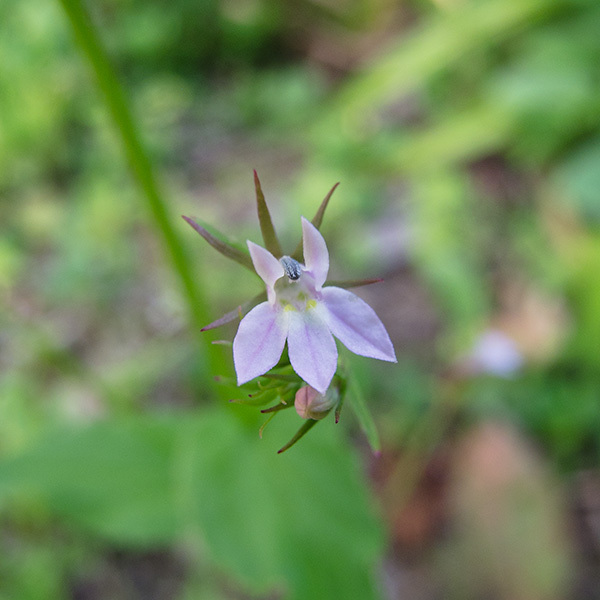 The individual flowers have five petals fused at the base. 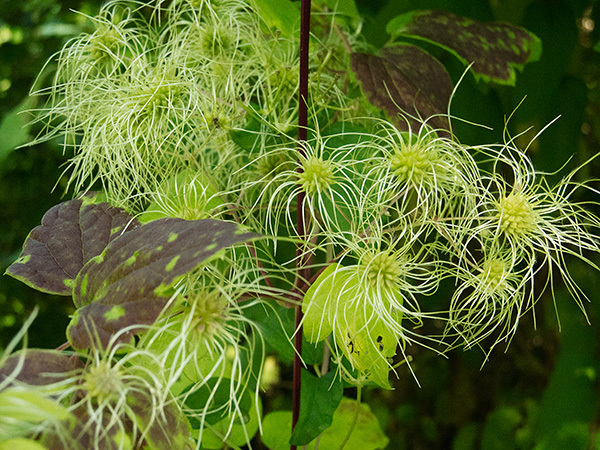 They produce colorful berry-like fruits that are favorites of birds, bears, racoons, and mice. 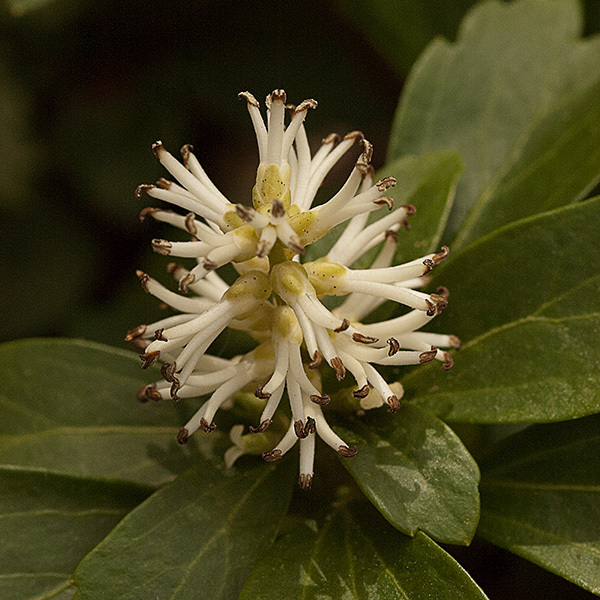 The family used to be included with the honeysuckle family, Caprifoliaceae, but recent genetic evidence has banished them to their own family. Members include moschatel, elderberry, viburnum, highbush cranberry, black haw, nannyberry, hobblebush, and wild raisin. This family consists of shrubs and trees and includes willows (obviously), aspens, cottonwoods, and poplars. 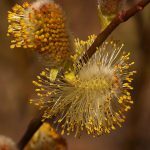 A key distinguishing feature is the formation of petal-less flowers grouped together into fuzzy catkins. 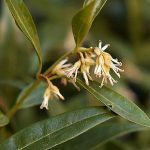 All members of this family are dioecious, with separate male or female flowers on different plants. 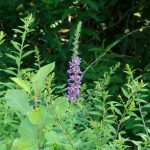 This is a small family of evergreen herbs, shrubs, or small trees. 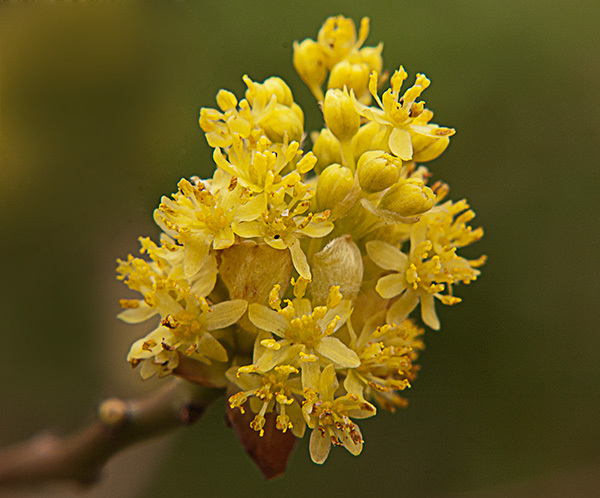 Flowers can emerge in winter, can be very fragrant, are either male or female, and lack petals. 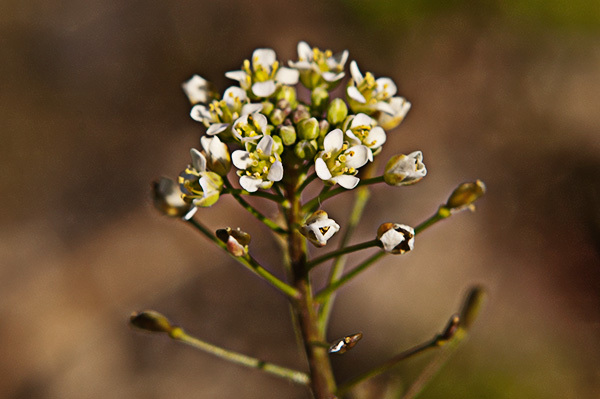 The majority of plants are dioecious, with male flowers and female flowers on separate plants. 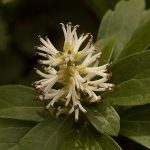 Family members include fragrant sweetbox, pachysandra, and boxwood. 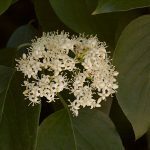 This family includes mostly shrubs with evergreen leaves. 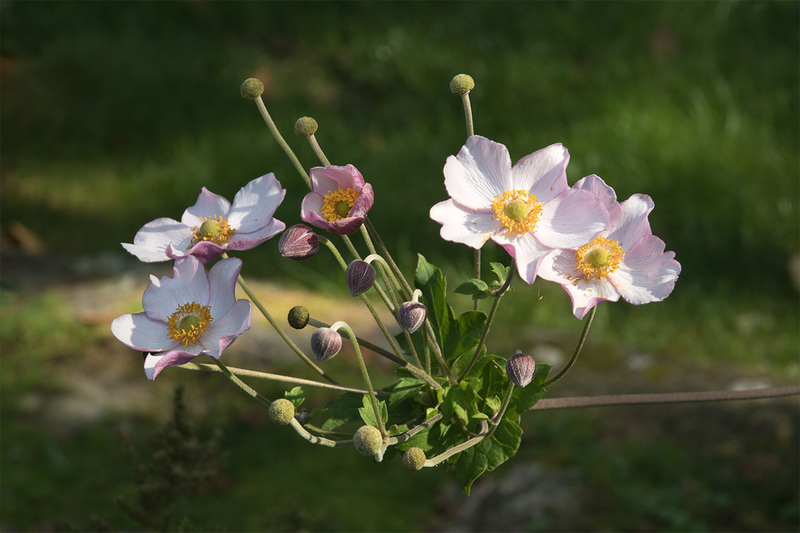 Flowers are typically bell shaped with flower parts in multiples of five. 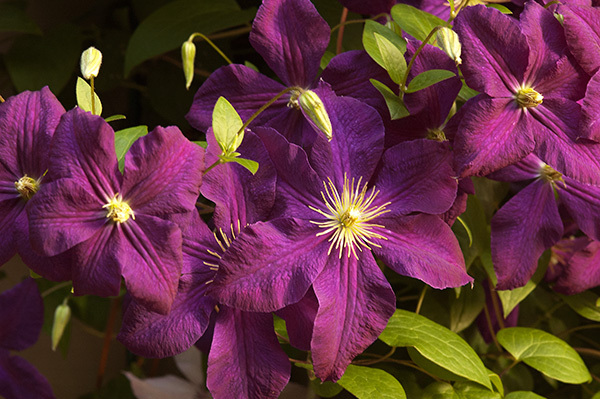 Flower color is usually white, pink, or red. 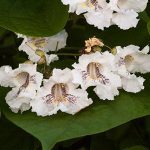 This is a large family with many subfamilies and members include heath, red bells, blueberries, huckleberries, azalea, rhododendron, wintergreen, and Indian pipe. 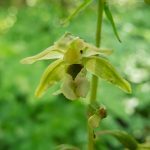 These flowers are not what you think! 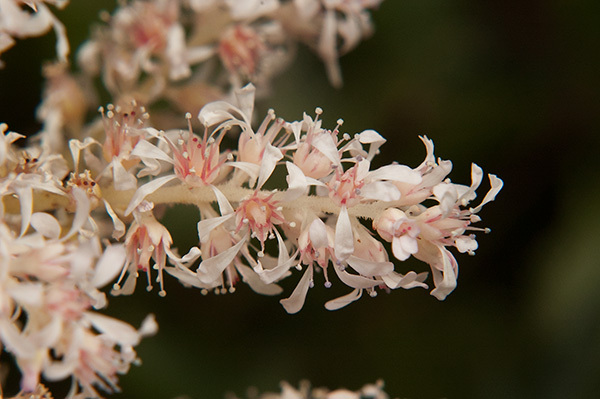 The showy cream, white, or pinkish petals are actually modified leaves and the “real” flowers are tiny and clustered in the center of the whorl of modified leaves, or bracts. 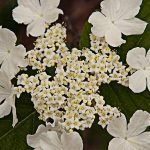 Members of this family include dogwoods and bunchberries and, sometimes, depending upon the classification system, tupelos. 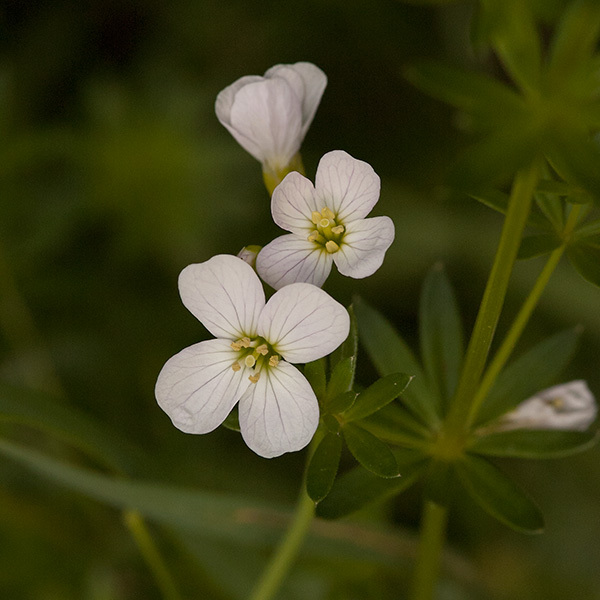 Members of this family have three-part leaves, or shamrock-shaped leaves. 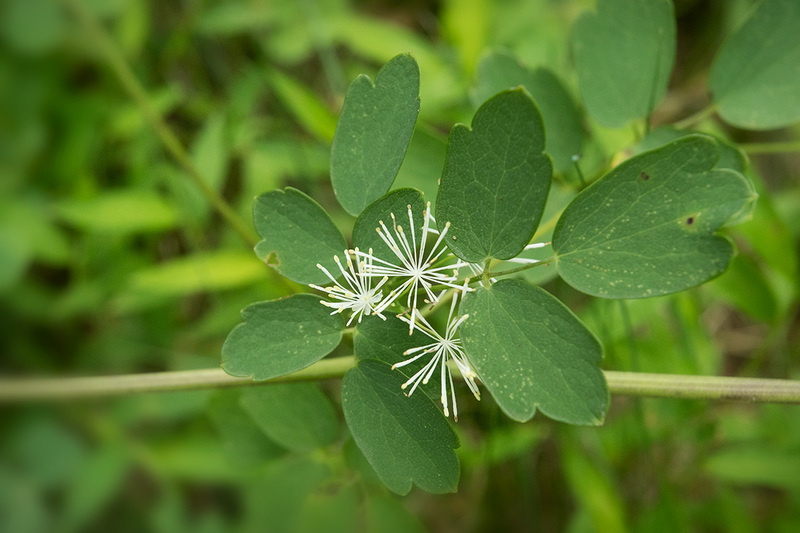 Not to be confused with clover, which also has three-part leaves. 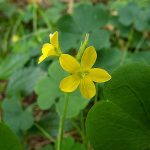 The flowers of wood sorrel are very different from clover. 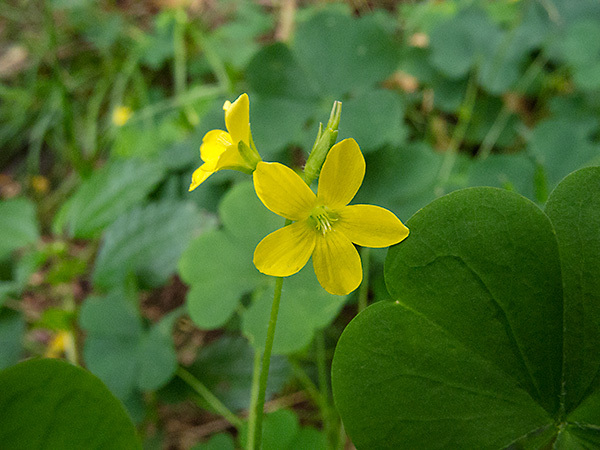 Wood sorrel flowers are solitary, radially symmetrical, and have five petals, five sepals, and ten stamens. These family members are monocots with flower parts in multiples of three. 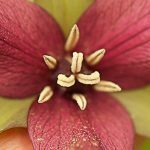 Sepals and petals are almost indistinguishable, forming what are called tepals, and appearing to be six colored petals. 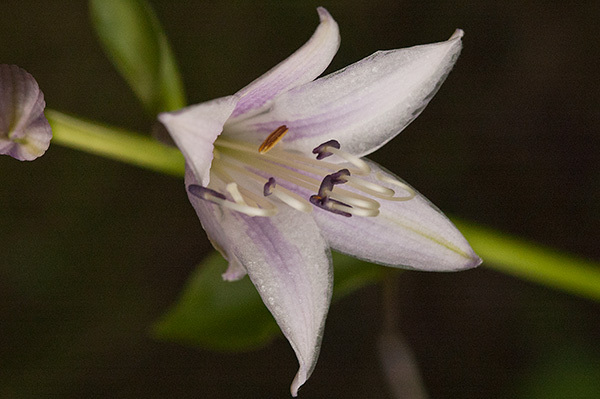 Once part of the lily family, taxonomists have given them their own family. 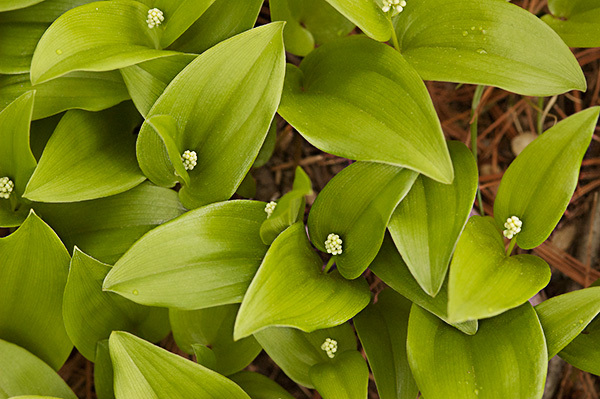 They typically have onion-like bulbs and juicy leaves. 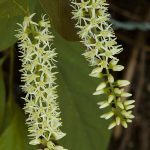 Flowers or flower clusters emerge from a bract, or modified leaf, that wraps around the buds. Family members include amaryllis, snowdrop, narcissus, daffodil, chive, garlic, and leek. 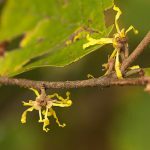 In the northeast, there is only one family member: you guessed it, witch hazel. 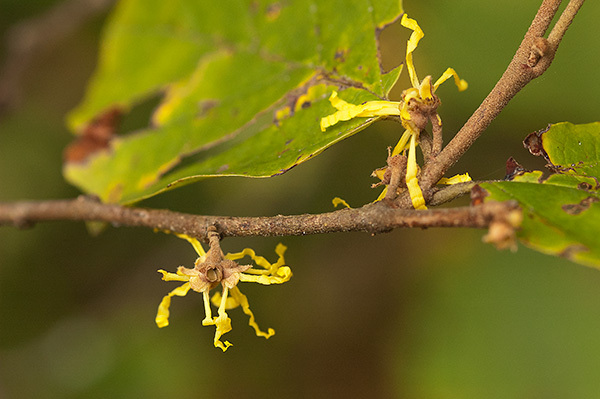 Witch hazel is a shrub or small tree. 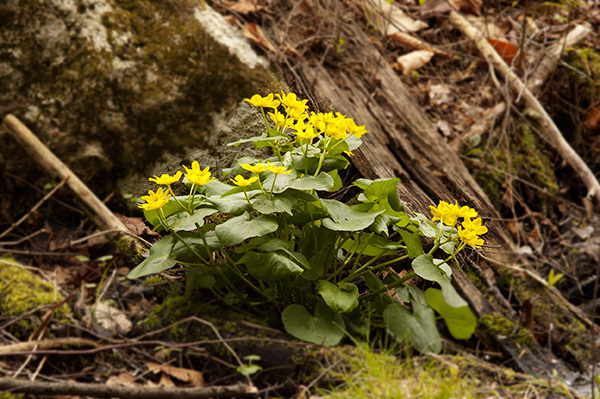 In September, small groups of flowers emerge with yellow, wavy, strap-like petals. 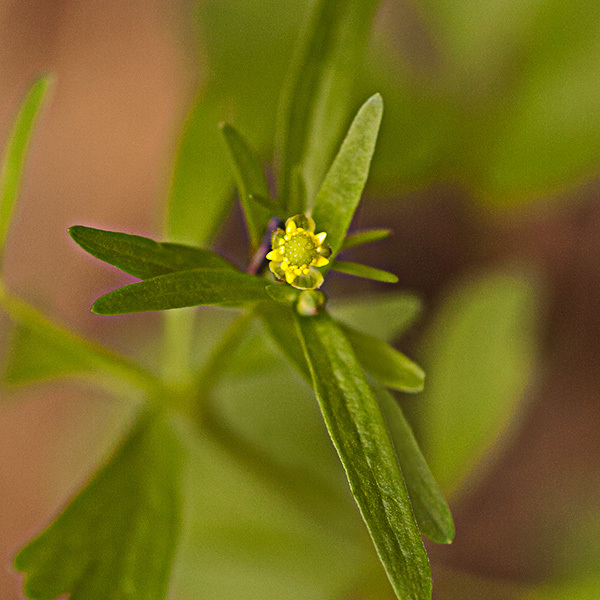 Sepals are small and triangular. Winter hazel, not a native of the northeast, is often used by gardeners in this area for early spring color. 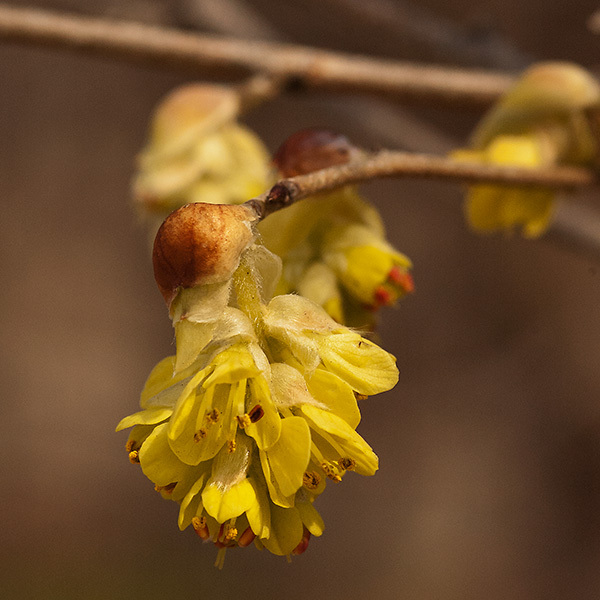 Winter hazel blooms before the leaves emerge forming colorful groups of yellow, hanging flowers. 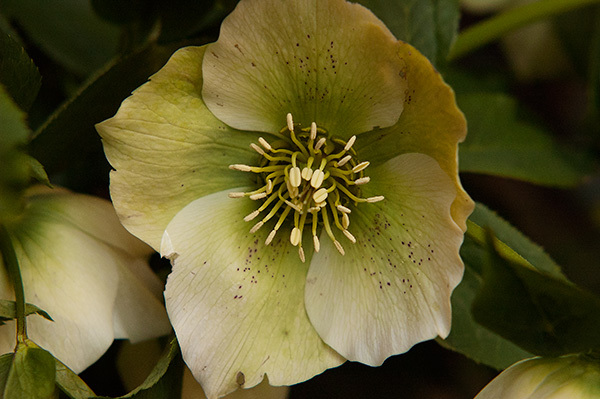 The early blooms also attract needed pollinators. It is native of Asia. 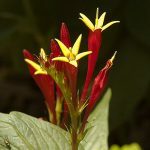 Members of this family are monocots. 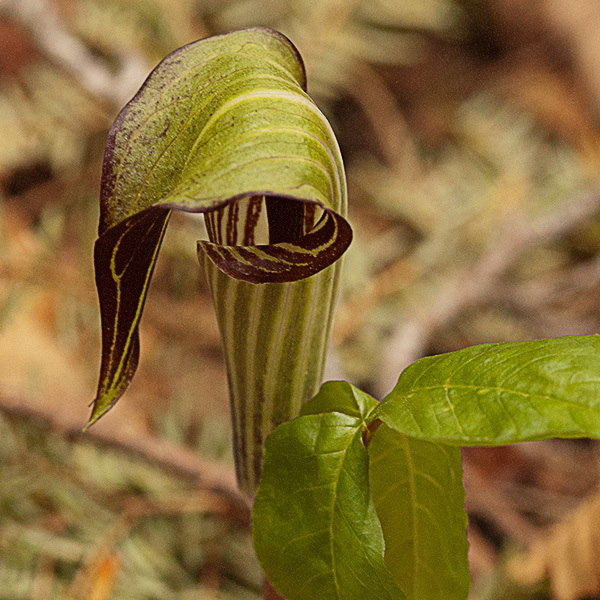 The group is distinguished by an unusual flower formation called a spadix. 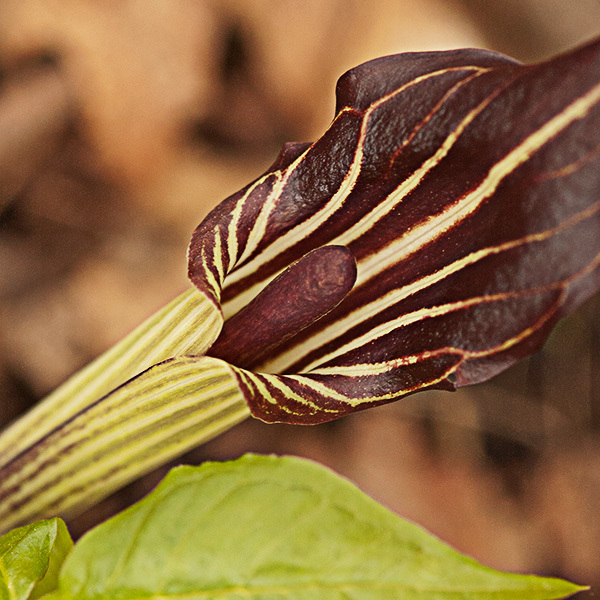 The spadix is an upright finger-like projection with nearly microscopic flowers. The spadix is usually surrounded by a single spathe, or leaf-like bract. 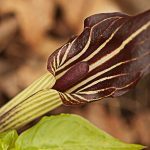 Members of this family include jack-in-the pulpit, caladium, calla lily, skunk cabbage, philodendron, and elephant’s ear. 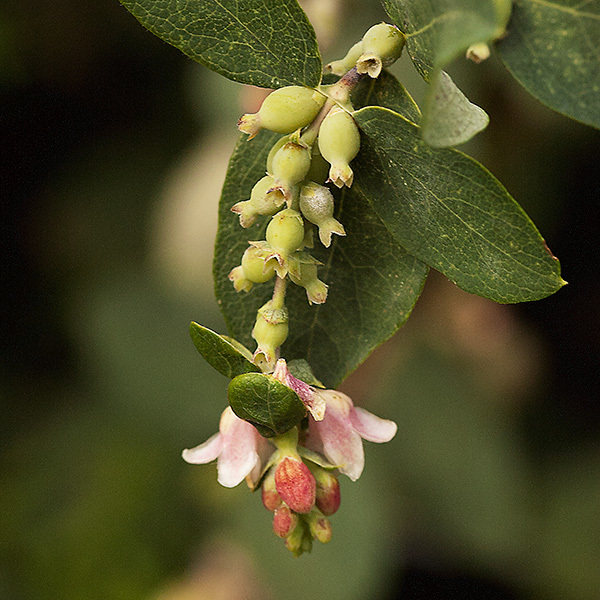 This family is comprised of bushes generally with opposite leaves and flowers and berries in pairs or clusters. 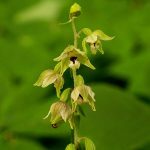 The flowers have five untied sepals, five united petals, and five stamens. 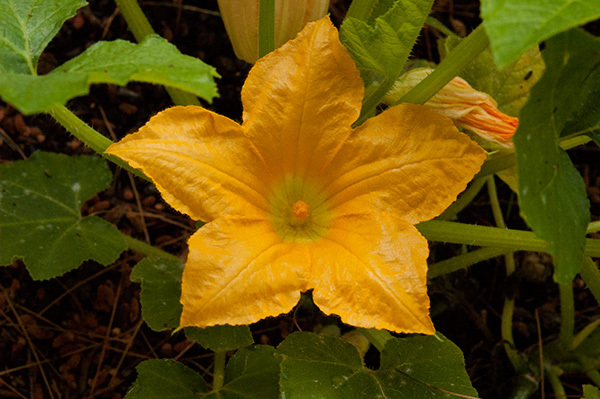 The small, united sepals often remain at the end of the fruit. 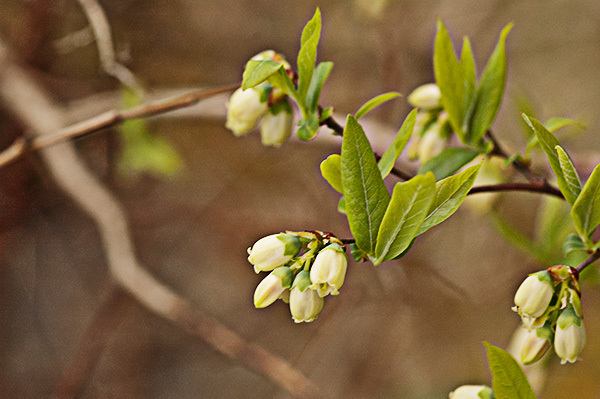 The family includes honeysuckle, snowberry, feverwort, and twinflower. 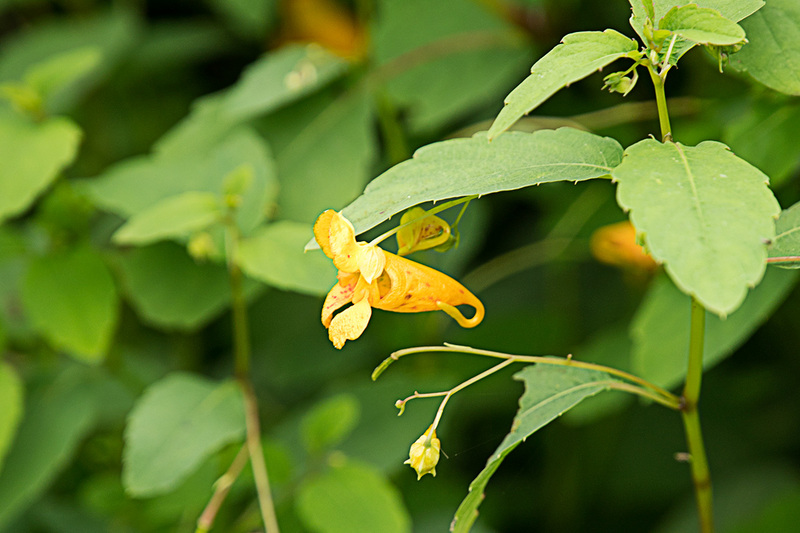 This is a small family with only two members common to the Northeast – jewelweed and pale jewelweed. 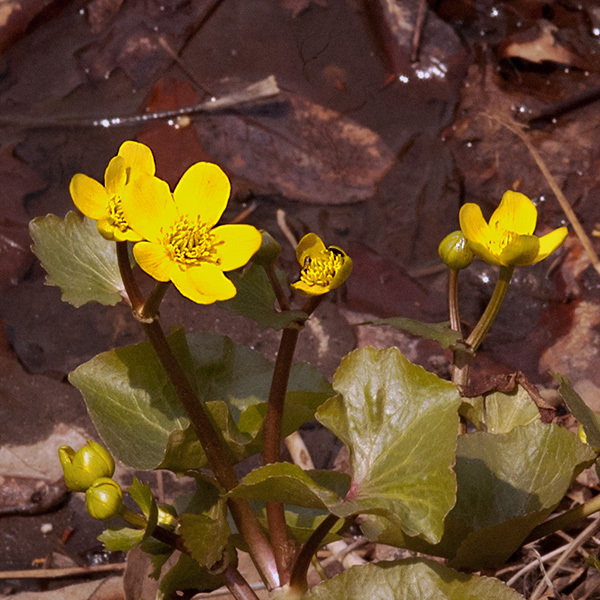 Easy to spot, these water-loving plants have yellow to orange, irregularly-shaped flowers. 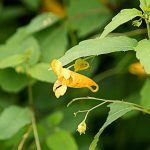 Jewelweed has a distinctive spur which pale jewelweed lacks. 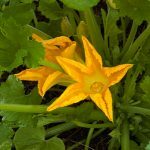 The leaves wilt with too much sun and the stems crush easily releasing juice. Also known as touch-me-not or impatiens, some species have been cultivated to create houseplants and garden flowers. 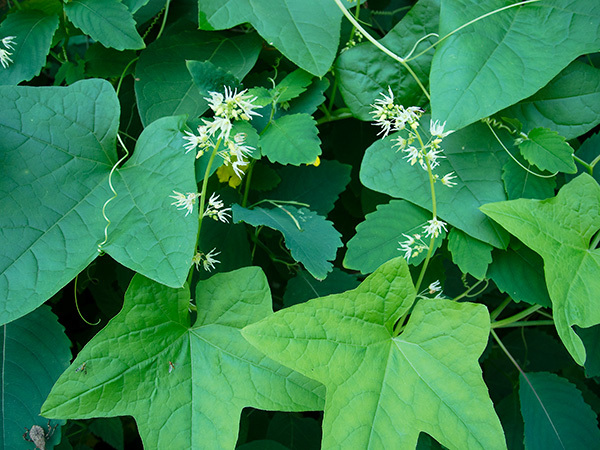 These family members are vining plants with tendrils and yellow or white flowers. 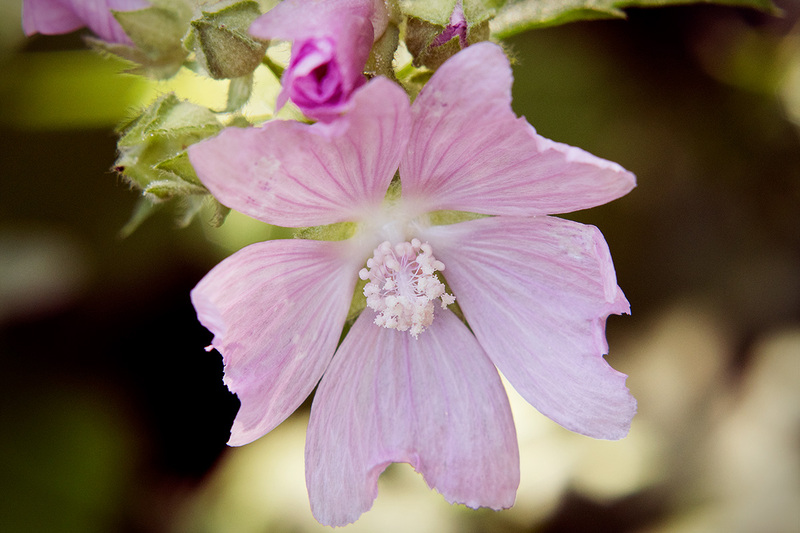 They bear separate male and female flowers on the same plant. 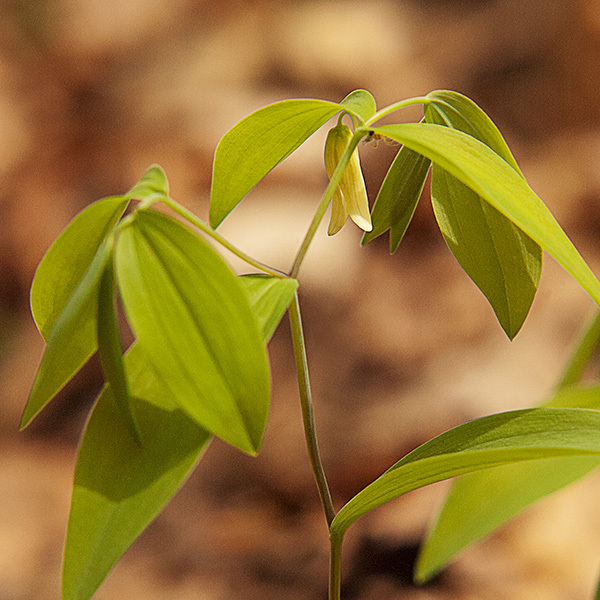 Leaves are palmate, which means they branch like fingers on a hand. 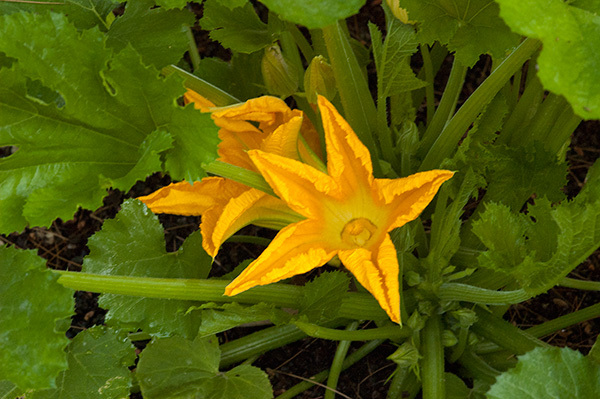 We recognize their fruits – pumpkins, melons, zucchini, cucumbers, and squash. 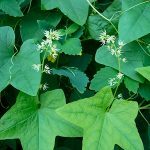 Wild cucumber, but not edible! We all recognize orchids when we see them as showy specimens from the florist on corsages, in bouquets, or cared for in pots by the window sill. But they are growing wild in the northeast, too. Not as spectacular as what the florist has, but pretty special nonetheless. 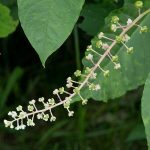 These family members are monocots, with parallel veins in the leaves rather than branching, sexual parts in three’s, and petal-like sepals. 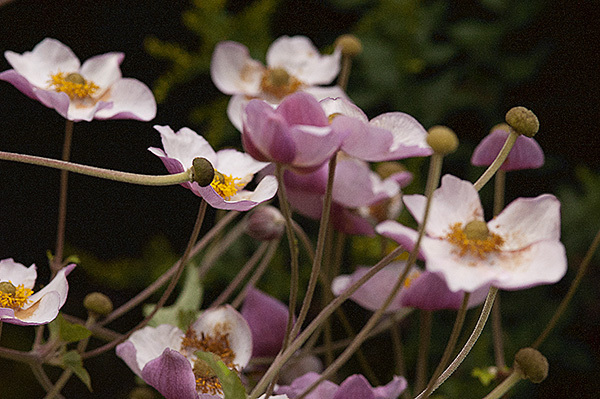 They are distinguished by producing irregular flowers that are not bilaterally-symetrical. 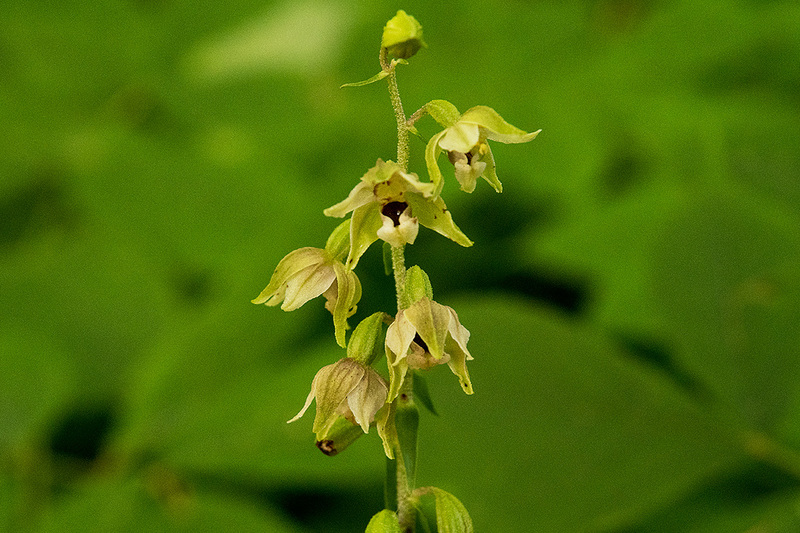 Sepals may be green or colored like the petals. The lower petal may be modified into a distinctive “sack” or “spur.” Family members include lady’s slipper and helleborine. 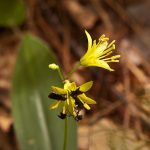 This family consists mostly (but not always) of regular, bell-shaped flowers with five separate sepals, five united petals, and five stamens. 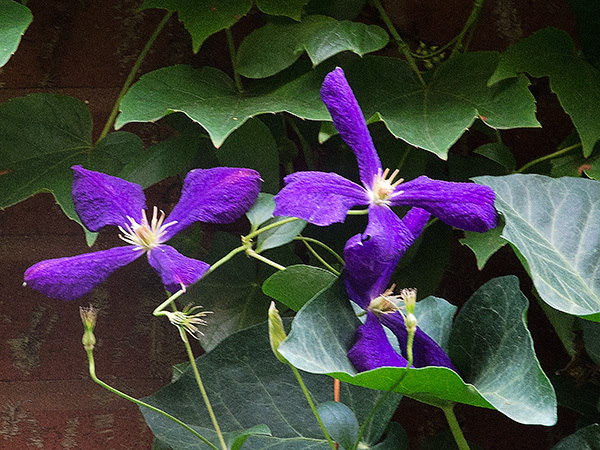 Flowers are generally blue, purple, or white. 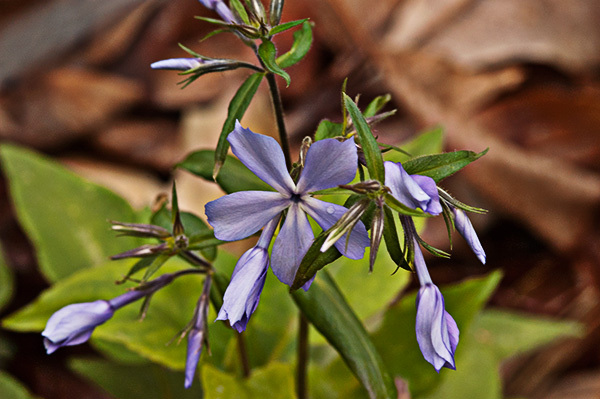 The lobelias form a subfamily of Campanulaceae, Lobelioideae, and break the rules above, having irregular flowers often with pointy lobes. 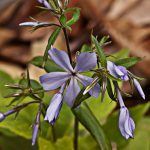 Family members include harebell, lobelia, and cardinal flower. 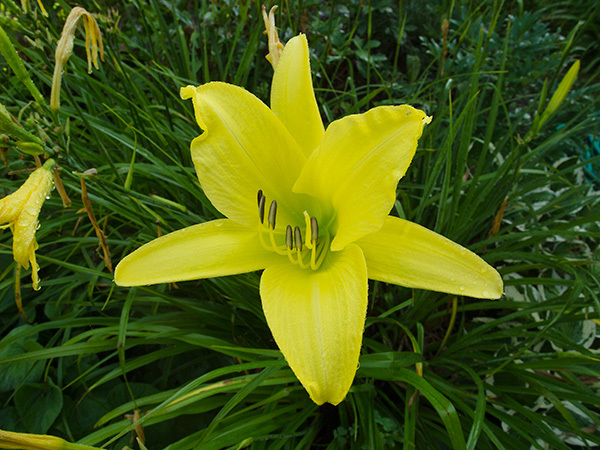 The daylily family and close relatives have been reclassified in recent years. 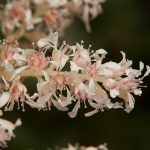 Based on new evidence, the Angiosperm Phylogeny Group, or APG, promoted subfamilies of the old family group, Xanthorrhoeaceae, into their own families, Asphodelaceae being one of them. 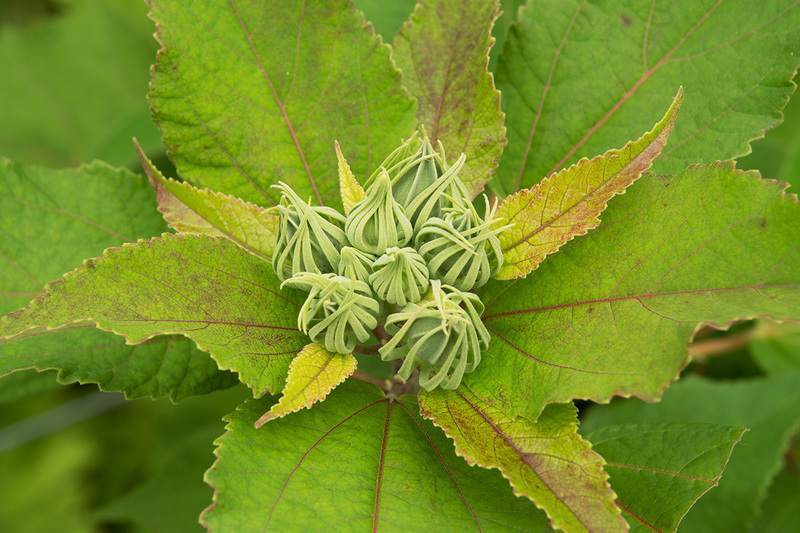 Members of this family are monocots, distinguished by parallel veins in their leaves and sexual parts in threes. 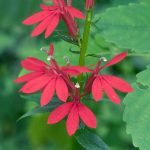 Family members include daylily and aloe. 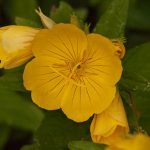 Generally, this family has regular flowers with four separate sepals and four separate petals and an equal number of, or twice as many, stamens as petals. 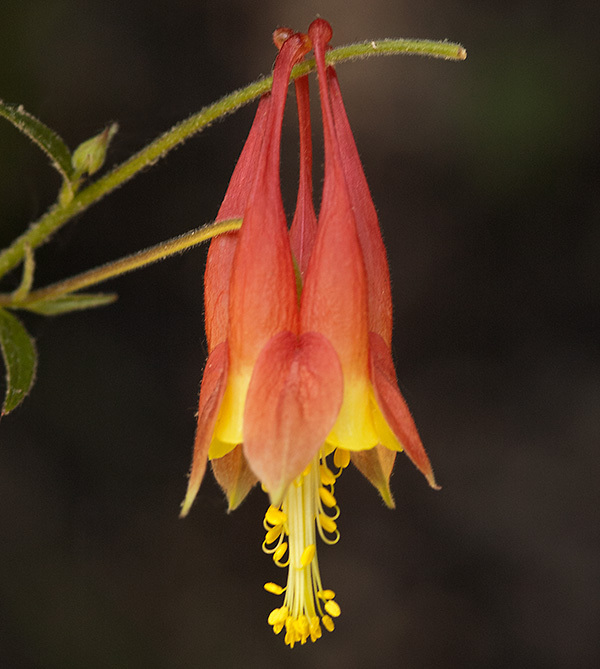 Characteristic of this family, the styles of the pistil are fused, but not the lobes, forming a distinctive four-part stigma. 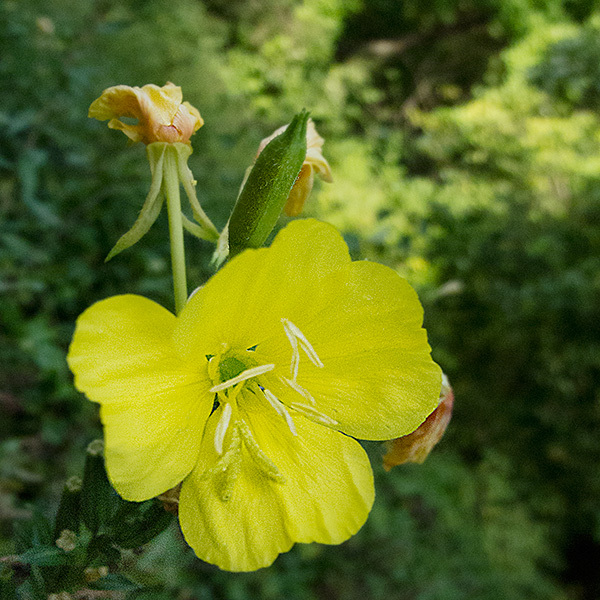 Members of this family include evening primrose, enchanter’s nightshade, and beeblossom. 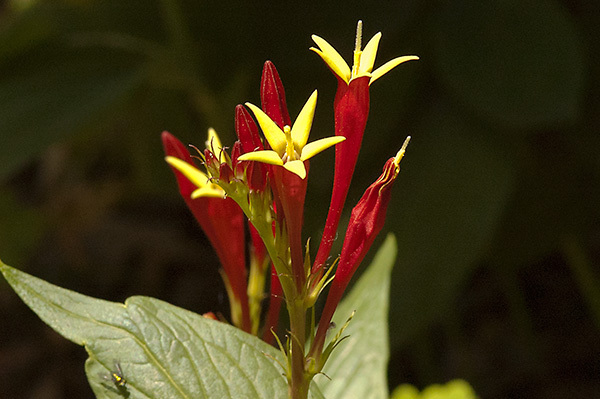 This family consists of monocots – easily identifiable by the parallel rather than branching veins in their leaves. 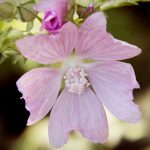 The family typically has three sepals and three petals that are similar in size and color plus six stamens and a three-part stigma. 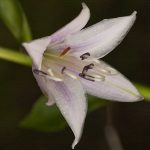 Although similar to members of the Lily family, genetic evidence has forced taxonomists to place this group in its own family. 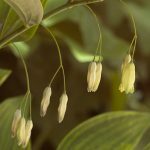 Members of this family include asparagus, hostas, lily-of-the-valley, Canada mayflower, solomon’s seal, and solomon’s plume. 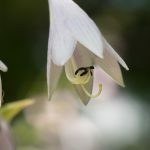 This often showy, five-petaled flower has a distinctive arrangement of sexual parts with stamens fused around the pistil forming a fuzzy column at the center of the flower. 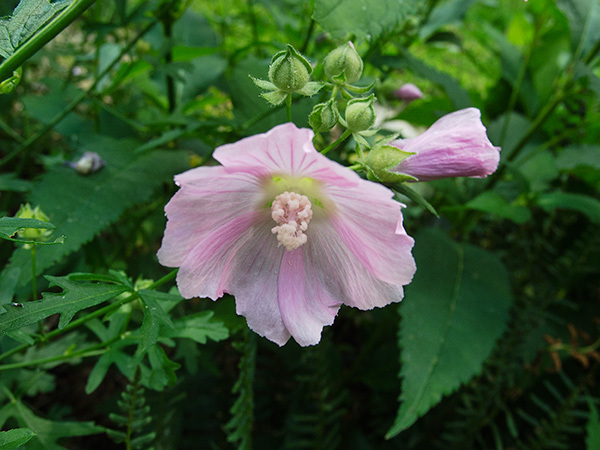 The family includes hollyhock, hibiscus, malva, okra, and cotton. 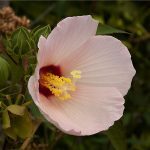 Taxonomists include two subfamilies in Malvaceae, basswood trees and cacao trees, although their flowers do not have fused stamens. 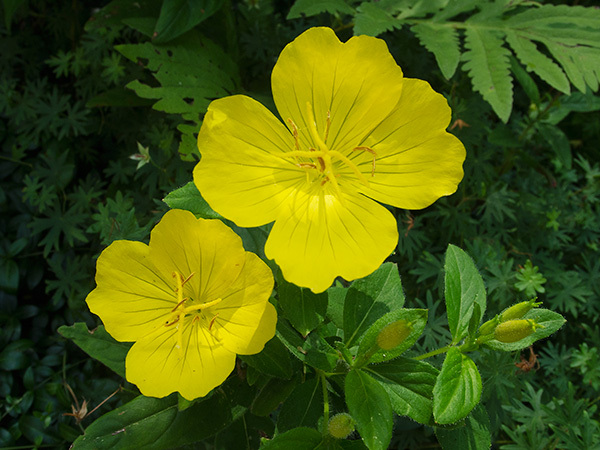 Members of this family are distinguished by their slightly irregular flowers with five petals united at the base and two petals pointing upward and three, downward. Also distinctive of this family, once fruit forms, the thread-like style remains attached to the tip of the seed-containing capsule. 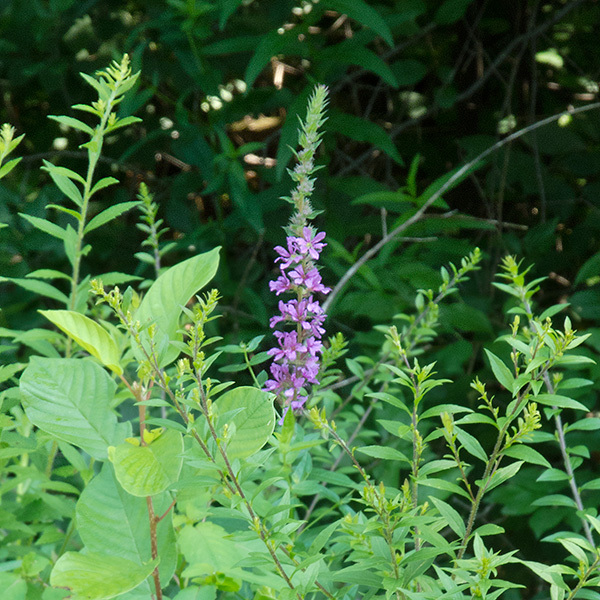 Family members include butterfly bush, mudwort, figwort, and mullein. 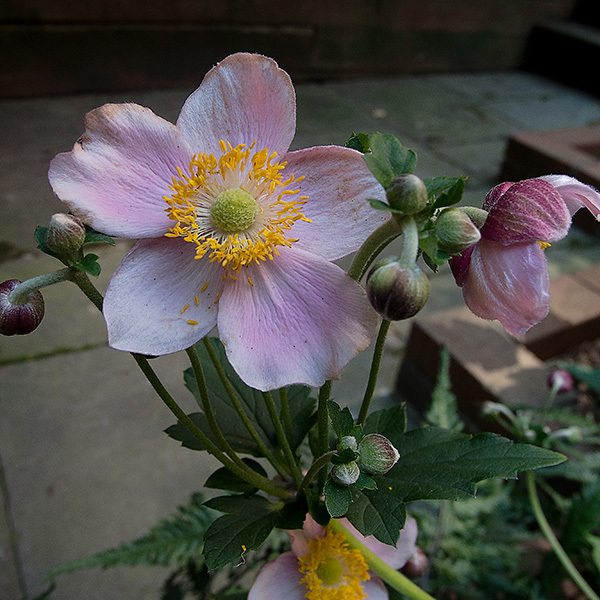 We love these family members in our gardens! 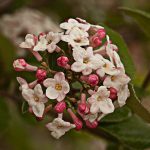 These shrubs usually have large, dense clusters of showy flowers. 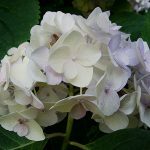 Garden varieties have names like PeeGee, Annabelle, oakleaf, mophead, lace cap and come in blues, pinks, whites, pale green, and cream. We love them all! 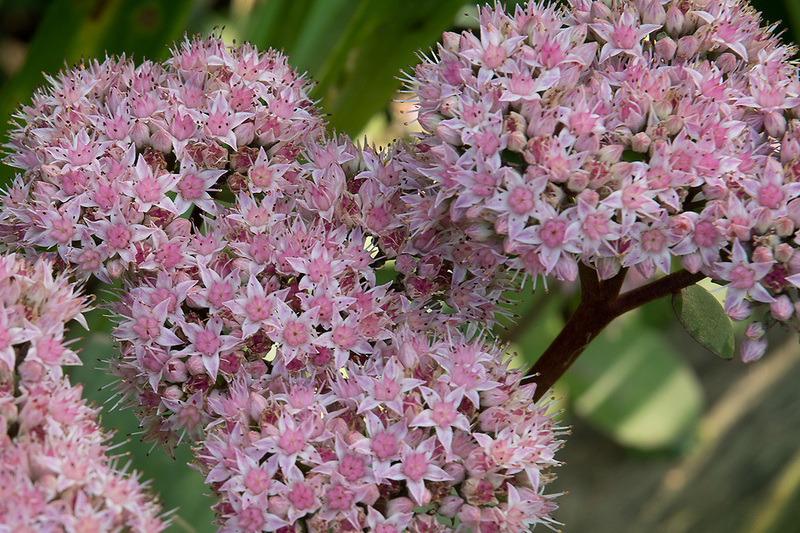 The promiscuous blooms on the outside of the cluster are often sterile, with the action taking place at the center of the cluster. 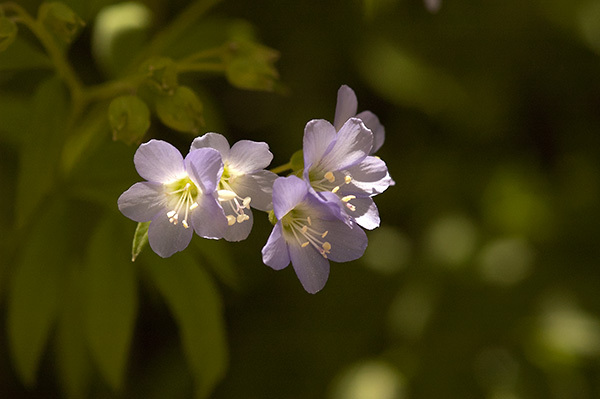 Individual flowers may have four to five petals and the flowers that aren’t sterile may have numerous stamens. Many species are native to eastern, southern, and western states. 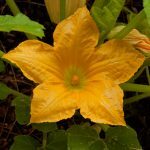 And many have been “doctored” to meet the demands of gardeners like myself. 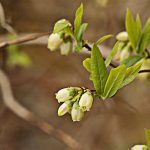 The family also includes mock orange. 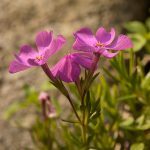 You can find phlox all over the northeast, from well-groomed gardens to roadside ditches in pale pinks, bright pinks, whites, and magenta. 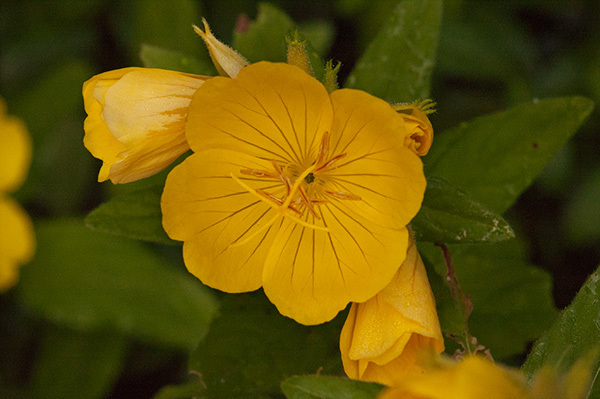 Characteristic of this family are its four or five petals fused to form tubular flowers with flattened faces. 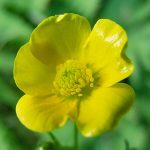 Members of the Buttercup family are considered primitive, having characteristics retained from early ancestors. 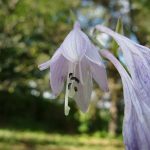 The number of sepals, petals, stamens, and pistils are not fixed and stamens and pistils are arranged in a spiral on a cone-like receptacle as compared to more modern plants with parts arranged in concentric circles and often fused. 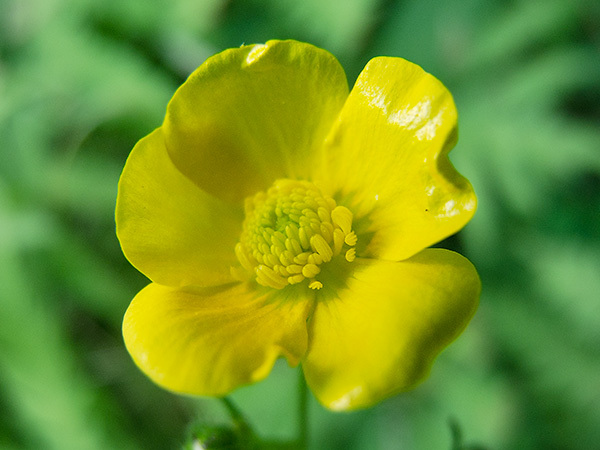 If you find a flower with many separate pistils, it’s likely in the buttercup family. There are many great garden varieties in the family – anemone, clematis, delphinium, columbine, hellebore, and aconite. 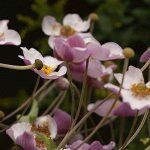 This family is distinguished by four, six, or eight petals and twice as many stamens as petals. 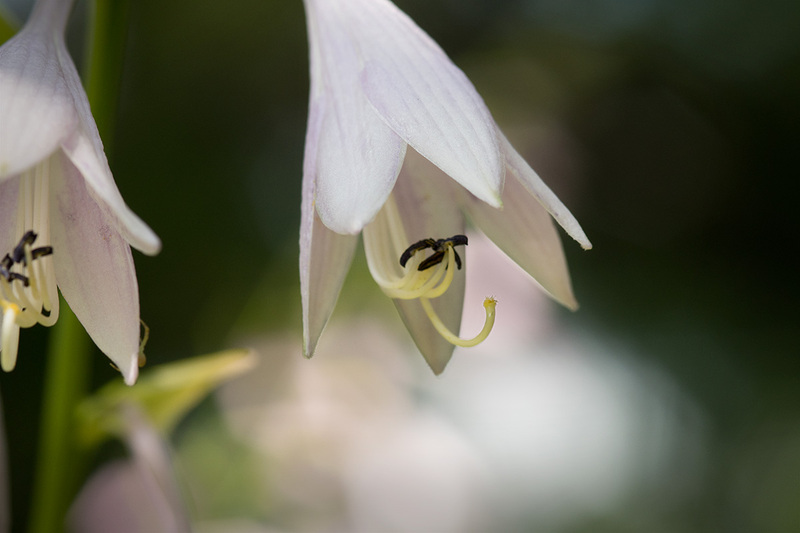 Stamens are in two rings, and each ring of stamens is of a different height. 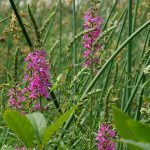 Many members of the primula family have common names containing the word “loosestrife,” but don’t belong to the Lythraceae family.